CLICK HERE FOR INFO ABOUT NEW PRODUCTS ANNOUNCED AT SHOT SHOW !! "I can't believe the difference." "It should be illegal to sell binos without these." Exciting new products to be announced soon! Sign up here for our mailing list for news and special offers. They're simple, but they make a HUGE difference! When not needed, simply flip the EyeShields down into the stowed position, where they will not interfere with eyepiece covers, bino cases, etc. 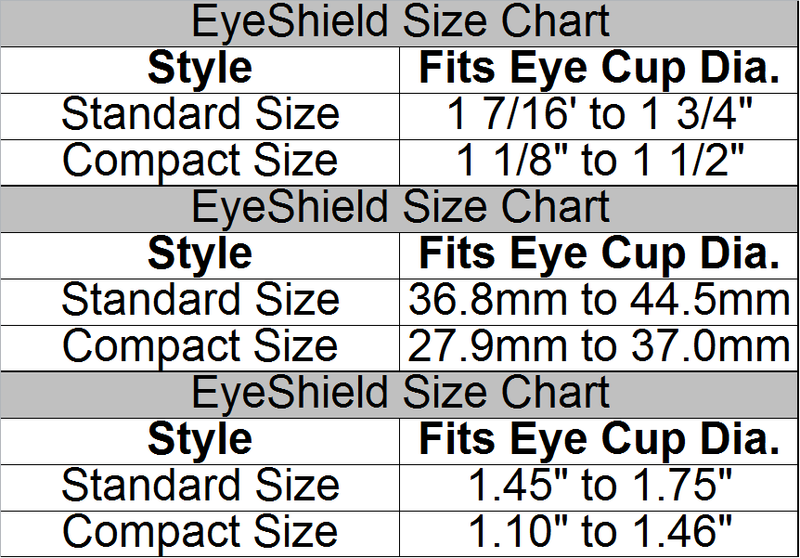 EyeShields are GUARANTEED for life. 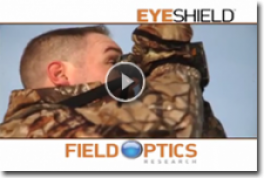 EyeShields extend along the sides of your face to block out glare, ambient light, wind, dust or other distractions. 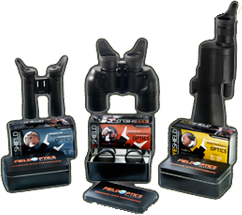 To stow, simply flip EyeShields down and out of the way, where they will not interfere with eyepiece or optics covers.